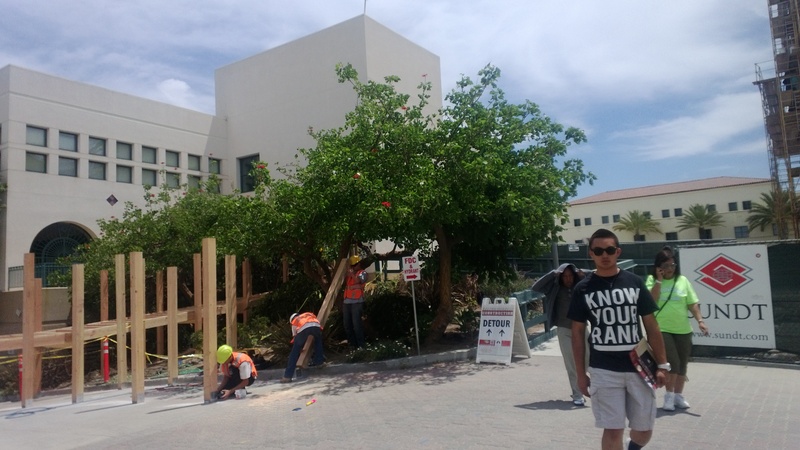 If you’ve passed by Manchester Hall and Aztec Student Union lately, you may have noticed a new pathway. At this point in construction, the project needs to expand its boundaries for a few months, so that some much-needed work can be completed. 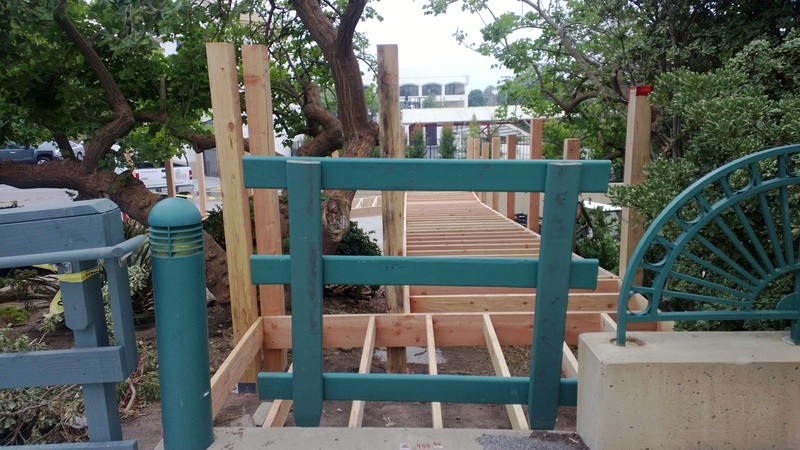 One of those expansions will bring about the removal of the current temporary wood ramp between Manchester Hall and the Open Air Theatre Walkway and the installation of a new one. The ramp entrance and exit will remain in the same spots, but the direction of the ramp will change from south-west to west-south. The new ramp goes through the landscaping adjacent to Manchester Hall and should open in the next couple of weeks. 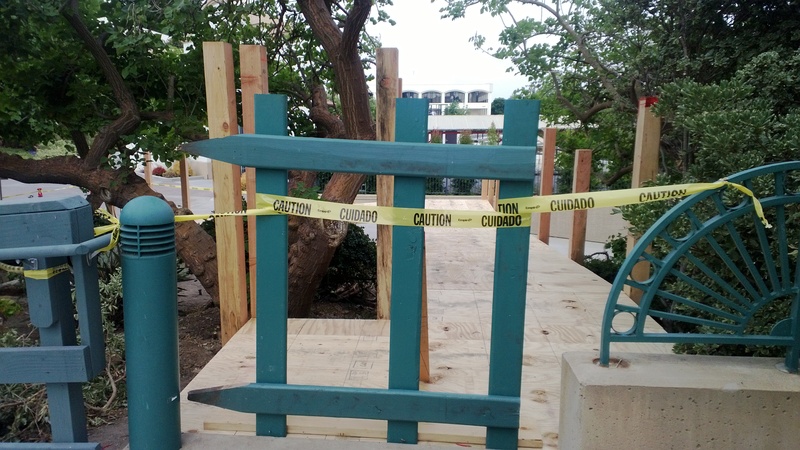 It will be similar in color to the old ramp, and will be finished with a gritty paint, so that the surface will not be slick for pedestrians. Want to get more views and news about Aztec Student Union? Be sure to “like” the project on Facebook, follow it on Twitter or visit the website. This entry was posted in Construction, Relocation. Bookmark the permalink.